Thanks everyone for your votes and support in the Fonseca BIN 27 Cookie Rumble 2013! The cookies finished in a respectable 4th place out of approximately 150 entries in the popular vote. Not bad for gluten free cookie in a mainstream cookie contest. My friend Grant finished in second place with his lovely Point Reyes Port Cakes and I suggest you check out his recipe. I am so grateful for and really sincerely appreciate every like and vote that was cast for my cookie, in this contest. Tipsy Cranberry Almond Shorties were inspired by my favorite accompaniments to a glass of port: a handful of salted almonds and dried fruit. 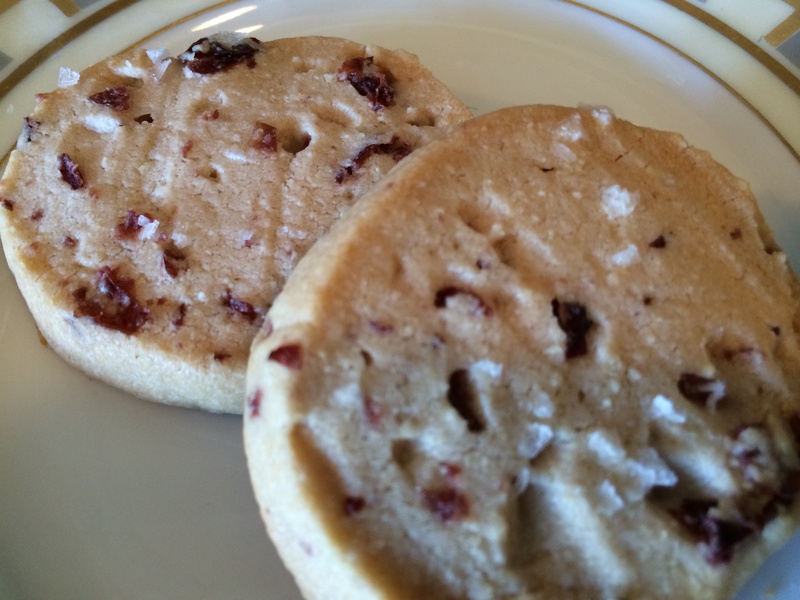 The buttery almond shortbread base is complemented perfectly by the tart chewiness of the port-soaked cranberries. I top the shorties with a bit of Maldon sea salt, but they are just as delicious sprinkled with chopped Marcona almonds and/or turbinado sugar. I love them as the sweet finish to a light supper with a glass of Port. 1. 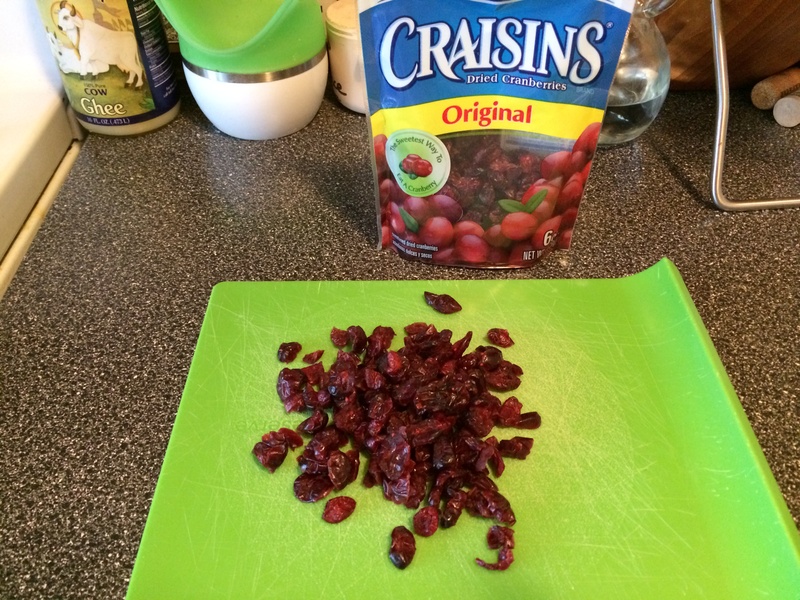 Soak the chopped dried cranberries overnight in the port. 2. Place the flour, confectioner’s sugar, almond flour, and salt into a bowl and whisk to combine. 3. 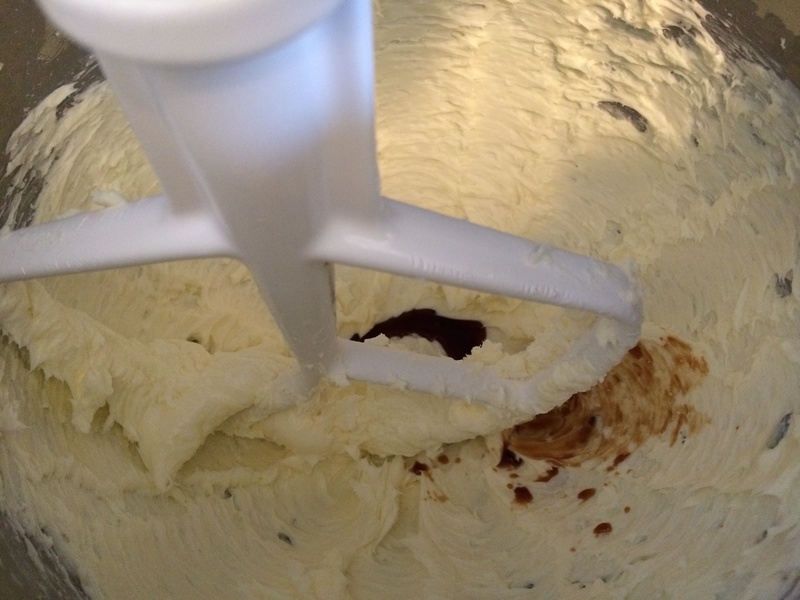 Using a stand mixer with a paddle attachment, beat the butter on medium speed until smooth and creamy, about 3 minutes. 4. 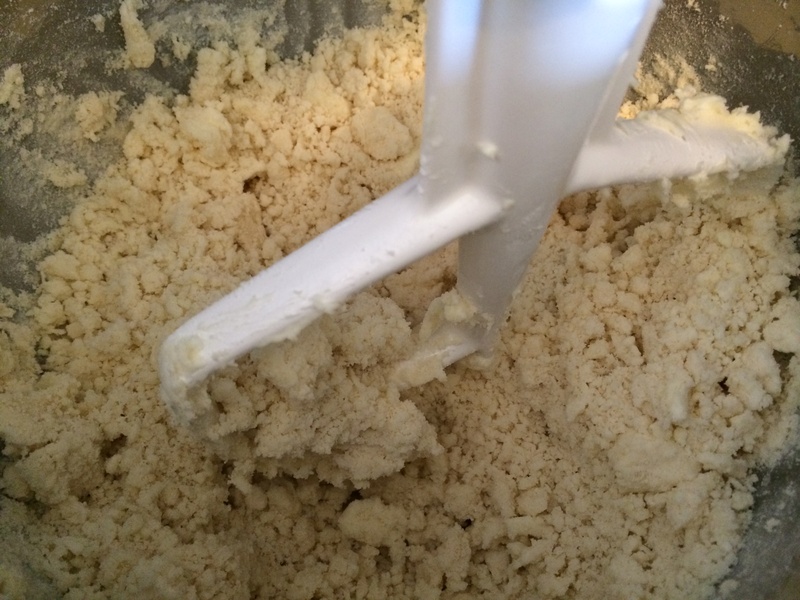 Reduce the mixer speed to low. Add the vanilla and the dry ingredients and mix just until the dry ingredients disappear into the dough. 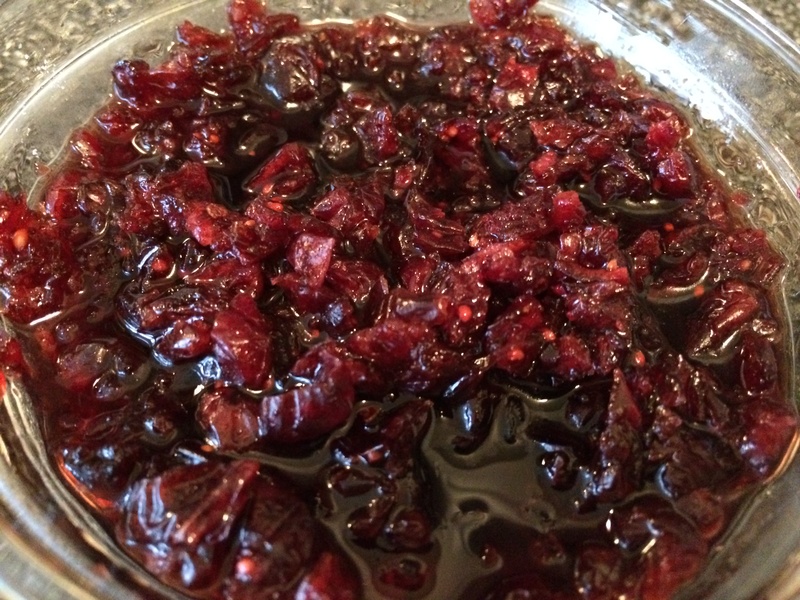 Stir in the soaked cranberries. 5. 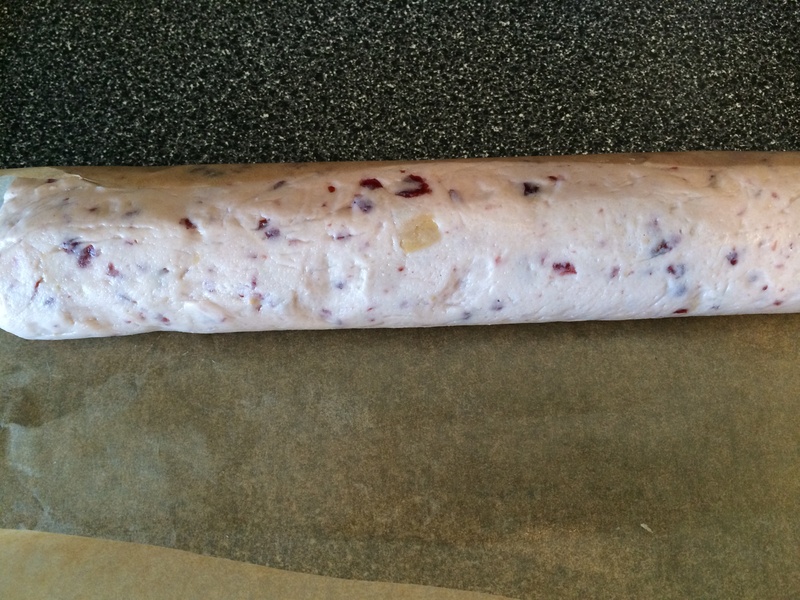 Shape the dough into two logs. 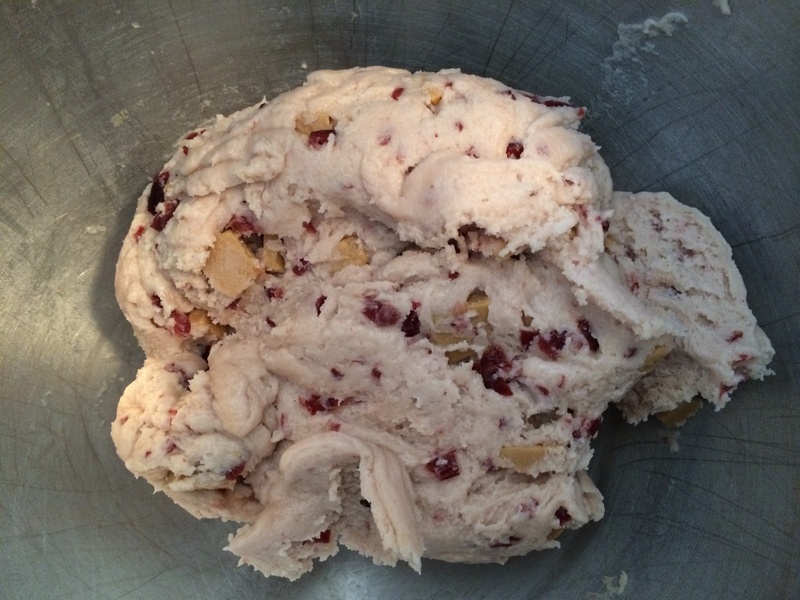 To do this, turn out dough onto counter or board and use a bench knife or sturdy spatula to divide the dough in half. Place each half on a 12- to 14-inch length of parchment paper, waxed paper, or plastic wrap. 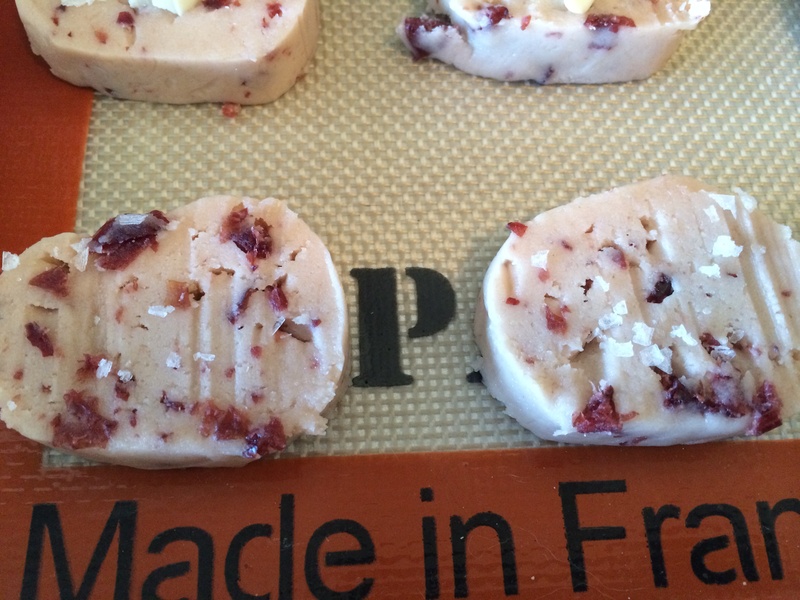 Smooth and pat the dough into a rectangle by flattening the top and sides with your hands. Then use the paper to help roll and shape the dough into logs approximately 2 inches in diameter by approximately 10 inches long. Twist the ends of the paper to seal the log, and then refrigerate the dough until firm, at least 2 hours and up to 3 days (or freeze for up to 2 months). 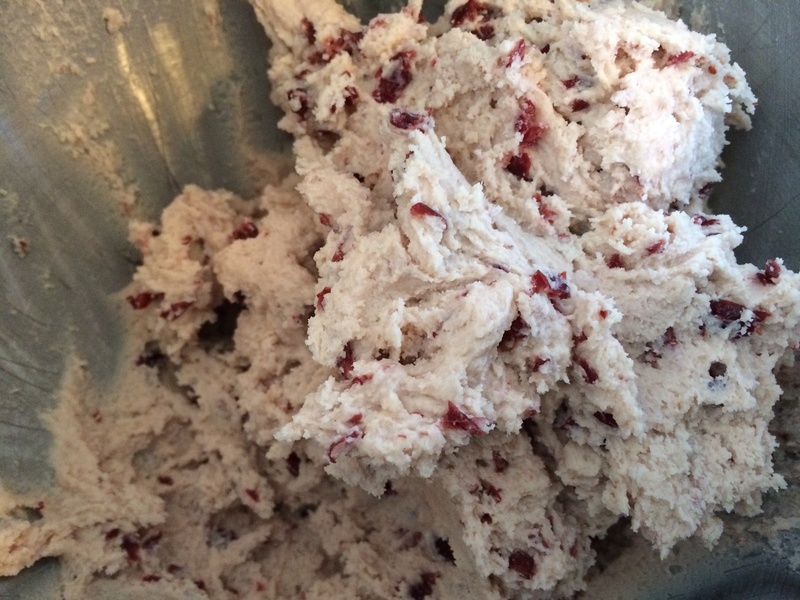 If you are using frozen dough, defrost it overnight in the refrigerator. 6. Preheat the oven to 325 degrees. Line 2 baking sheets with parchment paper or a Silpat. 7. Slice the cookies one 1/2 inch thick and place them on the prepared pans, about 1 inch apart. 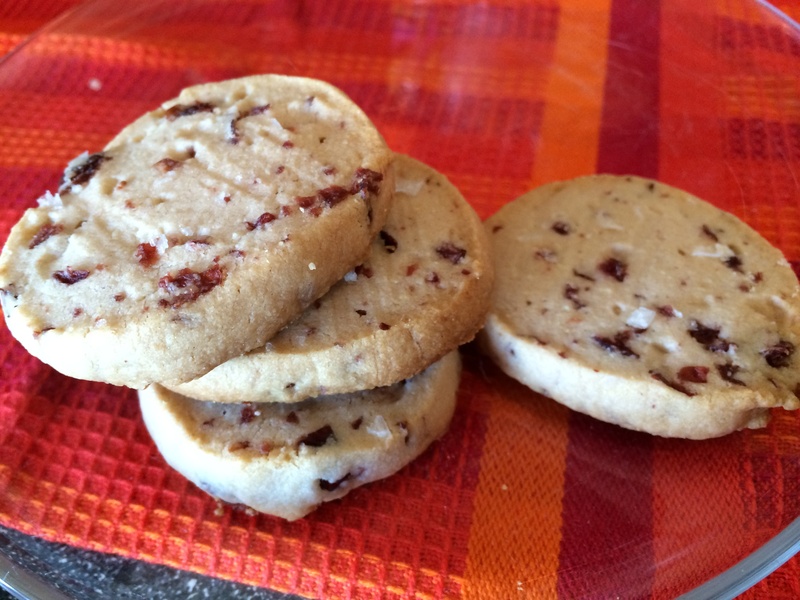 Sprinkle the raw cookies lightly with Maldon Sea Salt. Bake for 20 minutes. The cookies are ready when they begin to brown at the edges. Cool cookies on a rack and serve.